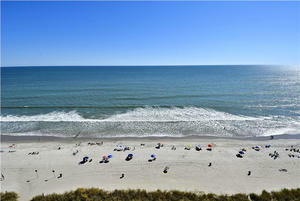 Location can make all the difference when you just want to get away and North Myrtle Beach, South Carolina is a fantastic location. 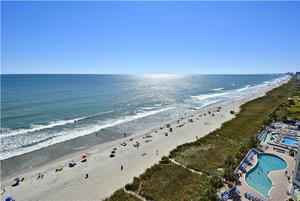 Bay Watch Resort is a lovely oceanfront idyllic beach resort in the Crescent Beach section of town. 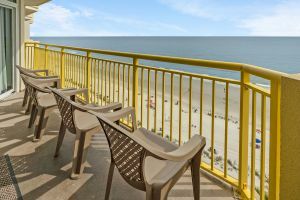 This lovely oceanfront resort rests on the shore of the Atlantic Ocean offering guests amazing views from their oceanfront balconies, a wonderful spot in North Myrtle Beach, South Carolina to just get away from it all. And the best part of all is you are only minutes from everything there is to see and do in the Myrtle Beach, South Carolina area. 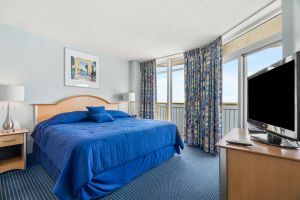 When choosing Bay Watch I 1405 for your next North Myrtle Beach vacation you will be transported to a wonderful oceanfront condominium with fabulous amenities. 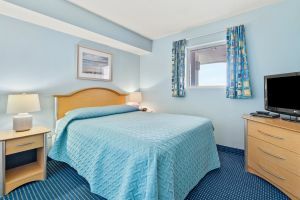 The high-rise resort offers an amazing oceanfront sundeck with a sparkling outdoor pool as well as an indoor pool, indoor and outdoor hot tubs, kiddie pool with a mushroom waterfall and lazy river. 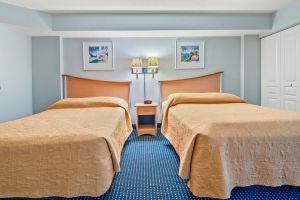 This wonderful North Myrtle Beach resort also offers guests a fitness center, convenience store, grilling area and sports bar. There are actually two restaurants on-site at Bay Watch Resort so you have options on hand during this North Myrtle Beach vacation. The amenities at Bay Watch Resort are simply too many to mention. 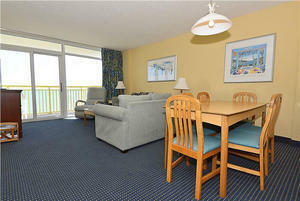 Bay Watch Resort I 1405 is a cozy three bedroom, two bathroom oceanfront condo. 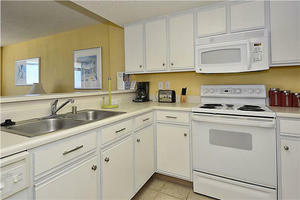 This charming beachside rental will comfortably accommodate 10 guests for a relaxing North Myrtle Beach vacation. 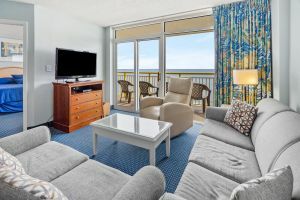 Bay Watch Resort I 1405 offers an amazing oceanfront view from the balcony and master bedroom so you can fully relax and admire the oceanfront without having to leave the comfort of this private vacation condo rental. 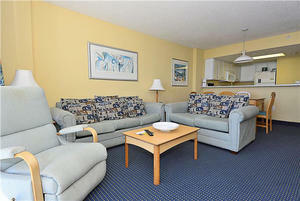 This comfortable condominium offers flat screen televisions, DVD players and WIFI for guest amusement. For convenience this vacation rental offers a fully equipped kitchen so you can prepare dinner and a washing machine and clothes dryer. 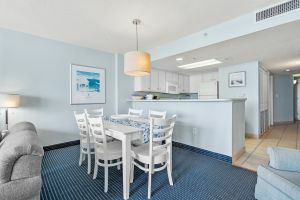 This wonderful oceanfront resort also has an on-site restaurant for those days when you do not want to utilize your kitchen but also do not feel like venturing out into the city. With the beautiful beach of the Atlantic Ocean so close you can easily spend days resting on the sandy shore enjoying the South Carolina sunshine or playing in the ocean water. If you choose to explore beyond your oceanfront vacation rental you will discover a plethora of activities and attractions conveniently near. There are approximately 100 championship golf courses for you to choose from along with hundreds of restaurants and numerous live entertainment theatres for your enjoyment. 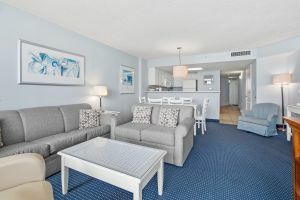 Bay Watch Resort I 1405 will be a fantastic North Myrtle Beach condominium to provide you and your family with a wonderful North Myrtle Beach vacation on the shore of the Atlantic Ocean. Departure maid service is required.